Escherichia coli (E. coli) is a common bacterium found in the the lower intestine of warm-blooded animals, including humans. Whilst most strains are harmless, some can cause serious gastroenteritis, or food poisoning. However, one special strain, E. coli strain Nissle 1917 (abbreviated as EcN), is specifically used to prevent digestive disruption. Since its discovery 100 years ago, EcN is probably the most intensely investigated bacterial strain today. Learn more about this special strain below as Ulrich Sonnenborn, winner of the FEMS Microbiology Letters Minirevew Award 2016, takes you through its discovery and history throughout the last 100 years, and suggests how scientists will develop new ways to use EcN in the future. How did Alfred Nissle first uncover the possibility that certain E. coli strains could be defending against other pathogens in the gut? During their medical studies at the beginning of the last century, students in Frieburg (southern Germany) were also trained in microbiology. In practical courses they had to mix their own stool samples with pure cultures of pathogenic Salmonella strains provided by Professor Nissle, spread the mixture out on solid culturing media on agar plates, and incubate it overnight to expedite bacterial growth. Next day, the plates were inspected. Usually, the Salmonella bacteria prevailed forming large colonies and overgrowing the other gut bacteria. However, in rare cases, only poor or even no growth of Salmonella occurred. Instead, E. coli colonies dominated. This observation led Nissle to the idea that in these cases the stool microflora might contain E. coli strains that were able to inhibit growth of Salmonella. Later, Nissle could corroborate his hypothesis in laboratory experiments by co-culturing mixtures of Salmonella strains with different E. coli isolates obtained from stool samples of healthy people. For this special feature of some E. coli strains of the normal intestinal microflora to inhibit the growth Salmonella and other enteropathogens, Nissle coined the term ‘antagonistic activity’. How was the E. coli strain Nissle 1917 first isolated? This special E. coli strain was isolated in 1917 during the First World War by Alfred Nissle from a stool sample of a German soldier who was at that time in a military hospital near Freiburg. This soldier, in contrast to his comrades, had not developed diarrhea or any other intestinal disease, when deployed in a region of the Balkans (Dobrudja), then heavily contaminated with pathogenic Shigella bacteria. Nissle suspected this soldier to carry an antagonistically strong E. coli strain that might have protected him from catching dysentery. In fact, this soldier carried an E. coli strain (later named strain Nissle 1917) that in laboratory tests showed strong antagonistic activity against pathogenic gut bacteria. Why can E. coli Nissle 1917 act as an antagonistic microbe, whilst other strains of E. coli are so pathogenic? Compared to the great majority of non-pathogenic E. coli strains in the gut of humans and animals, pathogenic strains are carrying additional genetic information on their genomes coding for so-called virulence factors that make them pathogenic. Since the presence of such virulence genes are not necessary for a strain to be a member of the species Escherichia coli, they are therefore called ‘luxury genes’ by molecular geneticists. As could be assumed from its history (isolated from the gut microflora of a healthy human), later molecular genetic analyses have shown that E. coli strain Nissle 1917 does not carry any virulence genes and thus is not pathogenic to humans and animals. However, the EcN strain contains additional genes which make it different from other non-pathogenic E. coli strains. These additional genetic elements are called ‘Genomic Islands (GEIs)’ and have been acquired during the evolution of the Nissle strain by horizontal gene transfer from other gut bacteria. These GEIs have been stably integrated into the EcN genome and are carrying genes that code for the strain-specific fitness factors of EcN, e.g. for its antagonistic activities against pathogenic enterobacteria which are due to the production of antimicrobially acting small peptides called microcins. How do you think E. coli Nissle 1917 will be used in the future? In the future, E. coli strain Nissle 1917 (EcN) will still be used as a medical probiotic, or in pharmaceutical terms as a ‘live biotherapeutic product’, to treat or prevent specific intestinal infections and diseases. In addition, ongoing research on genetic manipulations of EcN will yield constructs with novel properties. As EcN is a good colonizer of the gut, EcN derivatives may be used in the future as carriers of bioactive molecules for the treatment of other intestinal diseases. Furthermore, EcN derivatives may also be used for the construction of vector systems for the development of novel live oral vaccines. Featured image credit: Escherichia coli: Scanning electron micrograph of Escherichia coli, grown in culture and adhered to a cover slip by Rocky Mountain Laboratories, NIAID, NIH. Public domain via Wikimedia Commons. Ulrich Sonnenborn studied biology (with focus on microbiology and biochemistry) at the Ruhr-University of Bochum, Germany. After his doctorate in 1981, he worked there for three years as research assistant at the Institute of Physiological Chemistry (Prof. Wolf H. Kunau). Thereafter, he left the university and in 1984 joined the pharmaceutical company Ardeypharm GmbH, located in Herdecke, Germany, where he got the chance to build up a Biological Research Department focusing on intestinal microbiology and microecology. Other research topics included studies on the biosafety and the modes of action of probiotic bacteria. For more than 30 years, he has been the head of the Biological Research Department until his retirement in 2016. He is co-author of several reviews and a number of original research articles on the above topics, and together with Jürgen Schulze, Tobias Ölschläger, and Wolfgang Kruis co-authored the first textbook on probiotics in German "Probiotika: Mikroökologie, Mikrobiologie, Qualität, Sicherheit und gesundheitliche Effekte," which was published in 2008. 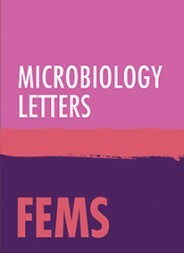 He is the author of "Escherichia coli strain Nissle 1917—from bench to bedside and back: history of a special Escherichia coli strain with probiotic properties," published in FEMS Microbiology Letters. A pedant of a biological persuasion writes: Re the first sentence, the singular is bacterium, not bacteria.